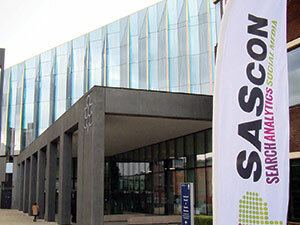 Last week we were thrilled to be supporting SAScon – one of the UK’s finest Search, Analytics and Social conferences – over at Manchester Metropolitan Uni. The two-day conference was jam-packed with inspirational talks, top tips, and some of the best business minds around (oh and there was a pretty fun reflex game too!). In exclusive footage from the conference we hear about the part that speed plays in the eCommerce sector and how a solid hosting partnership helped Approved Foods become the third fastest retailer in the UK. Speed is fairly important in all walks of life; we live in an instant, digital age – we want what we want and we want it fast, and so does the consumer. Stats are rife showing that if you aren’t up to speed, your potential customers will literally leave you behind. What you might not know though, is how to get where you need to be in terms of that all-important site speed. Talking last week at Sascon, our MD Jonathan explains the importance of speed in the eCommerce sector; and Dan Cluderay of Approved Foods discusses how his company’s partnership with UKFast helped it to become the third fastest retailer in the UK. Think about all the retail sites out there – these guys are the third fastest which is pretty incredible! This is how companies need to be thinking if they’re going to keep up, especially with the web now being the first port of call for many keen consumers. Being proactive and attending events like SAScon is step one, then gleaning all the knowledge that you can, finding out where you need to improve and partnering with the right people will ensure that – no matter what sector you’re in – you’re on track to success. Take a look at the upcoming events at UKFast Campus for the chance to come say hi, hear about the hot topics of the day, and network with fellow business buffs and tech titans; you can also sign up to the UKFast YouTube channel for more insights!